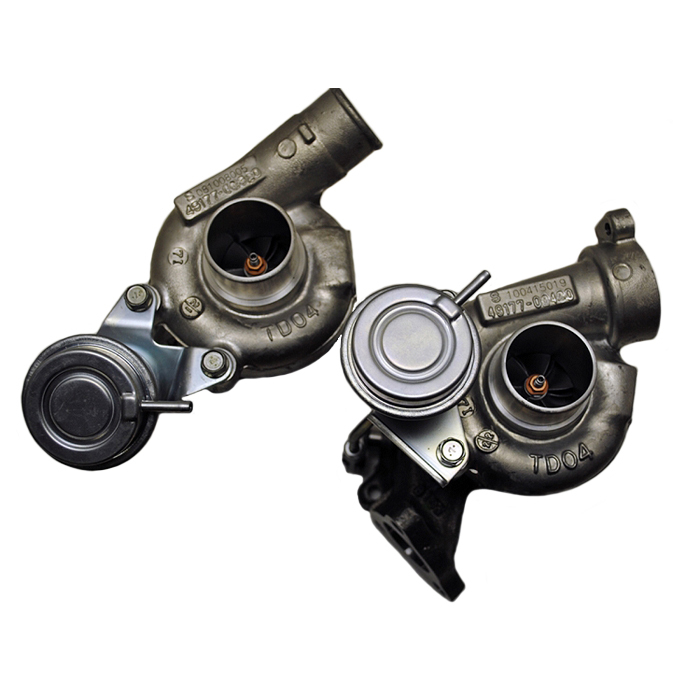 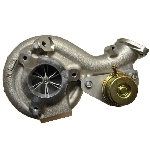 The TD04L-13G turbochargers are genuine Mitsubishi factory bolt-on upgrades for the 3000GT/Dodge Stealth utilizing an upgraded TD04 13G compressor wheel capable of supporting 225 HP per turbo for a combined total of 450HP. 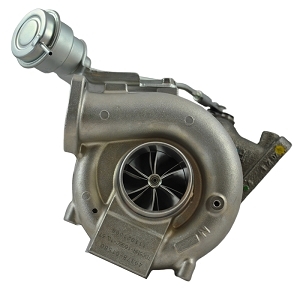 The turbine is also upgraded to a TD04L low inertia turbine in a 6cm2 nozzle area turbine housing for fast turbocharger response. 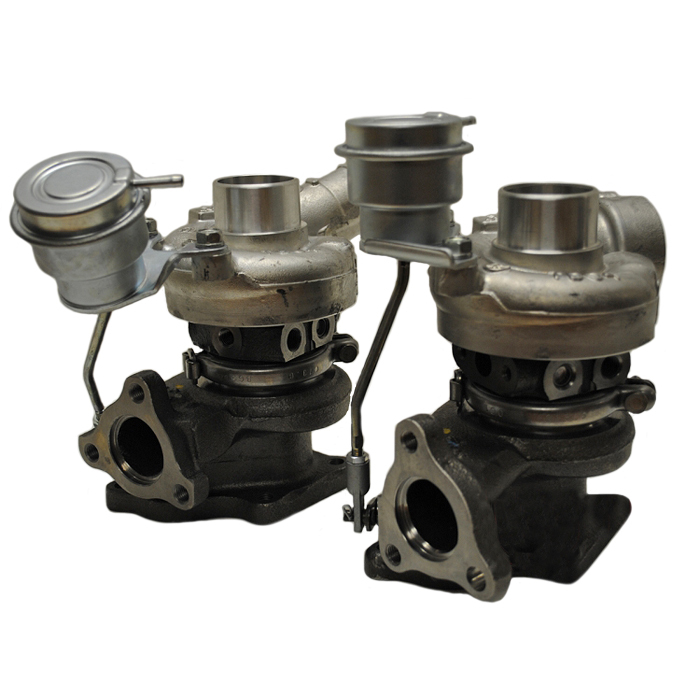 The TD04L-13G factory upgrades are supplied complete with wastegate actuators calibrated at 7 PSI and are a direct bolt-on upgrade replacement for the factory turbochargers and requires no modification to intake, exhaust, oil and coolant connections for installation.